Monday, January 4th, 2016, 1940 Hrs. 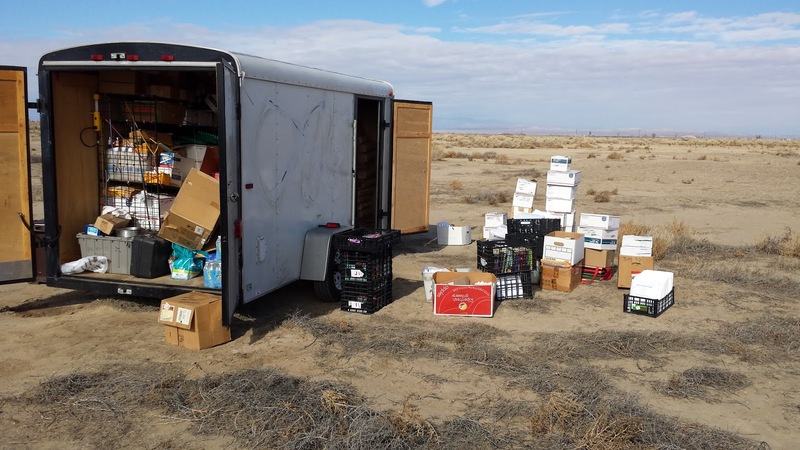 This is my first time to use this blog about RRMR at our temporary land near Lancaster, California. I will be starting to use the blog daily except Sunday and depending on the weather here. As you are now aware, we have moved our eBay store from Orange County to here near Lancaster. After the Christmas holiday weekend, we moved from there to here. Horrible day, AAA refused to take the trailer from Orange County to here, however, they did accept to take our soon-to-be non-op Astro van to the land. Beth had to rent a truck to tow our trailer to the land. The trailer came loose as she was towing it so I had to meet her to help put the trailer back on and continue towing the trailer to the land as she had to go back to O.C. On the next morning after I brushed my teeth, a county sheriff deputy came in and knocked on my RV windshield trying to get my attention. Silly! I came out and spoke with the deputy, who wanted to check us out. I told him that I am deaf and he understood. What a nice guy! I showed him our paperwork with the lease as well our property map. He checked our license plates on both RV and Astrovan and checked my ID and he said we are good to go. WHEW! Yesterday, we had to move our RV again by towing it with the Astrovan to the spot I wanted, Beth did a fine job by steering the RV which is hard to steer without the motor running. After that she helped set up the solar panel then she had to go back to O.C. when it became dark. This morning I woke up with a small water leak as it had rained lightly overnight. I found on the roof that there was standing water near the front of the unit, I had to clear that out and clean up a small mess. I spent an hour and half working on the roof by removing the old roofing seal and replacing it with a new seal where the leaks were and the front end of the rim that was in bad shape. Then I patched up the remaining bits of bad seal all around. It took a ½ gallon of the seal that we bought yesterday. This is really weird because the weather website it said it should be raining on Tuesday, but why is it one day early? Today is the first day back to work on our eBay store after 1 week of “Vacation Mode”. As you see in the picture below I had to pull out 3 orders from the trailer and put everything back in, wow! It took me an hour! After I took care of the eBay orders, I went back on the roof to make sure that it’s good. As I was climbing up the ladder on the back of the RV, it didn’t want to hold my weight so I had to use the fiberglass ladder to get up “there”! For tomorrow’s work, I will try to work on videos and painting if it is not raining.